The controversy around Cam Newton's touchdown dance against the Tennessee Titans on Sunday just keeps growing. On Tuesday, the Charlotte Observer posted a letter sent in from an upset mother who was at the game with her fourth-grade daughter. 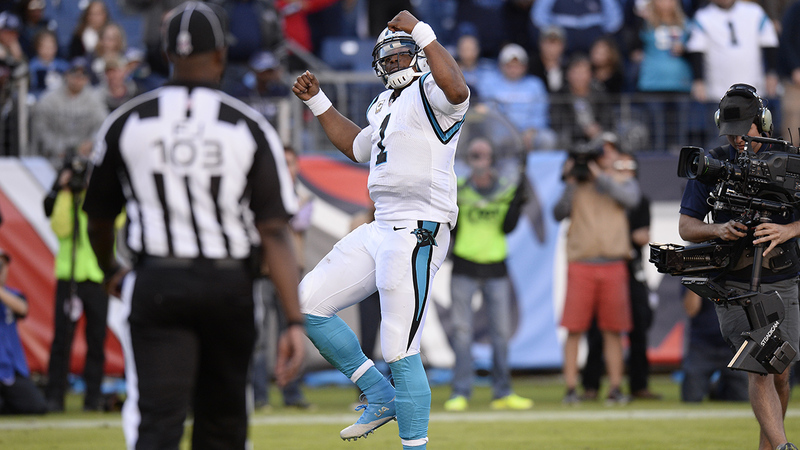 After a score late in the 4th quarter, Newton busted out his new 'Dab on them folks' dance. Two Titans got in his face about it before being separated. READ MORE: Despite critics, Cam keeps dancing and keeps winning. In the letter, Rosemary Plorin berated Newton for his antics, saying he was a role model and that his actions had a negative impact on the fans and children watching. She said she had a close up view of "The chest puffs. The pelvic thrusts. The arrogant struts and the 'in your face' taunting of both the Titans' players and fans." When her daughter started asking questions like, "Is he trying to make people mad? Do you think he knows he looks like a spoiled brat?" Rosemary said she didn't have great answers and redirected her daughter's attention to the cheerleaders and mascot. Dan Shanoff, a writer for espnW.com, wrote a response to that letter. In it he said his son, Gabe, also a fourth-grader, was watching the game. Cam Newton is his favorite player. He said that when Gabe was five, Newton's rookie year, his son went as the quarterback for Halloween, partially because Gabe could see the "talent and zeal" that Newton had. Shanoff pointed out other positives Newton has done, such as giving kids the football after the Panthers score a touchdown. Shanoff said even his son, a usually picky eater, might try Greek yogurt just because Newton endorses it. He addressed Plorin's statements specifically, saying "Where Plorin -- erroneously -- watches Newton and sees 'egotism, arrogance and poor sportsmanship," Gabe sees self-confidence, task mastery and, most of all, joy.'" As a parent, Shanoff explained that he "couldn't be happier about him embracing those lessons -- especially the joy on display." He went on to say that he wants his son to emulate that joy and that people should all be lucky enough to live life with "a little more dab."